a Malaysian computer scientist and senior lecturer at College of Information Technology, Universiti Tenaga Nasional in Kajang, Selangor, Malaysia. 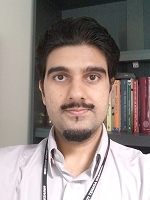 Azlan Iqbal's research interests focus on multimedia systems and the artificial intelligence topic of computational aesthetics . He holds a Bachelor's and a Master's degree in Computer Science from Universiti Putra Malaysia, and defended his Ph.D. in 2008 on A Discrete Computational Aesthetics Model for a Zero-Sum Perfect Information Game at the University of Malaya, Kuala Lumpur, Malaysia, and various of his papers on computational aesthetics of the Game of Chess were published in the ICGA Journal. He developed a computational chess aesthetics model and incorporated it into a computer program called Chesthetica that can be used to automatically evaluate the beauty of thousands of three-move chess problems in a way that correlates well with human assessment .